There is only so much one can squeeze into a magazine, even though it has over 30 pages. There is always more ideas out there and it would be a shame to ignore them. It only makes sense to me to share these with you too. That’s why ArTree has a Pinterest page filled with amazing art projects. There are two boards for every issue of the magazine – one with more art projects, games and ideas that go well with the topic at hand (color, in this case) and one with featured artists – their profiles, portraits and paintings. We are also collecting more famous paintings, art projects, art activities and techniques for kids. 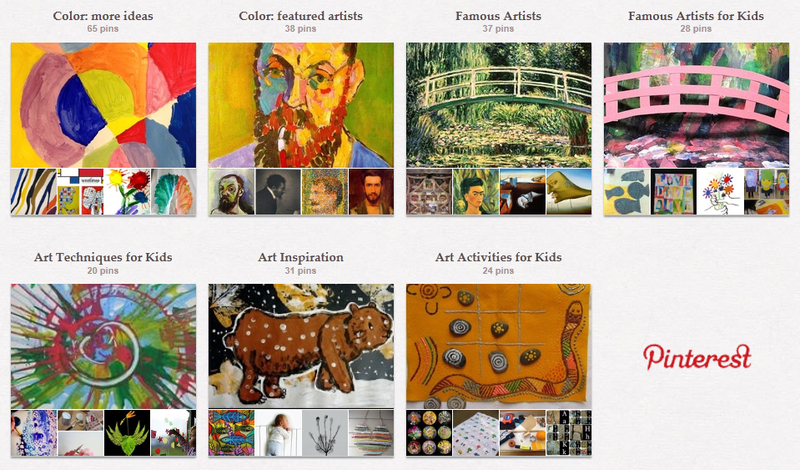 So, whenever you feel the need for art – check it out and let us know what you think. This entry was posted in Art Education and tagged art, ArTree, kids, magazine, pinterest, project. Bookmark the permalink. ← Anything you’d add to the list?